It was almost a two-hour bus ride back to the airport in Mexico City, and from there, an entire day of flying. I spent the whole drive holding my breath as I watched the landscape flash by for the last time. Driving up the mountainside again was like floating above the entire world. The sun was still rising when we left for the bus station. 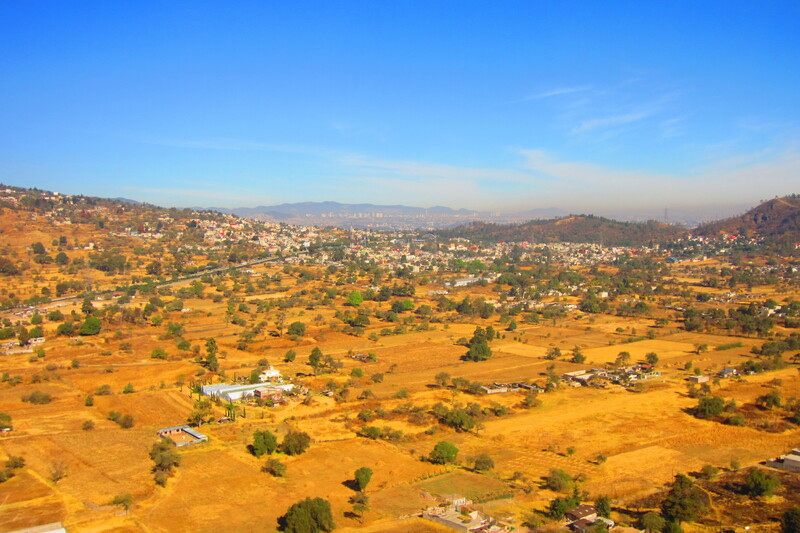 Our suitcases were packed in the back of the pickup truck and we watched them vigilantly from our van, hoping none of them would end up scattered across the streets we crossed through the hills of Cuernavaca. Even though we had shared our last breakfast with the CCIDD staff and taken our last walk through the compound, it seemed like we would still be waking up in the Mexican heat the next morning. I was really going to miss stepping outside to find the houses illuminated in colour every day. But at least we were together for the long trip home. By the time we even boarded the bus, it was obvious how much everyone was going to miss our time in Cuernavaca. When you spend 9 days living with people who so easily became your family, it’s hard to imagine going back to how things were before you met. It was almost a two-hour bus ride back to the airport in Mexico City, and from there, an entire day of flying. I spent the whole drive holding my breath as I watched the landscape flash by for the last time. Driving up the mountainside again was like floating above the entire world. I was looking down at the hilltops as they got smaller and smaller in the distance, all the while expanding in numbers the farther up the mountain we drove. Everyone else was sound asleep in their seats, or daydreaming as they watched the scenery. I thought back to how I felt right before this trip all began. It was 2:30 in the morning on a Saturday, and I’d slept for only a single hour because I was afraid I wouldn’t make it to the airport for 4 a.m. if I slept any longer. I was excited, but also nervous. I had no idea what to expect and I was stressed by the thought of leaving so much schoolwork behind, unfinished. Now that we’re going back home, my nerves have shifted. No longer am I concerned about whether the experience will be valuable. Instead, I’m afraid of how I will readjust to my life after seeing everything that I did this week. But I had plenty of time to contemplate those questions over the course of our 4-hour flight to Toronto. Lucky me, my seat had been changed and I was no longer sitting with my ASB teammates, but beside two strangers. So I leaned back in my chair, plugged in my headphones, and skimmed through the thoughts swimming in my mind. I boiled it down to three things. One, I was facing an internal struggle over whether stressing about things in life is really worthwhile. Two, I faced an external struggle to deal with the materialism of our culture and a society that doesn’t always see the big picture. And third, I was afraid I would forget all the memories and lessons of this week, because I would have to jump right back into my busy schedule. I didn’t want to fall backwards into the person I was before the trip, but let the experience challenge me to keep growing into my complete self. While all those struggles are a little different, I came to the conclusion that I should simply listen to that person I’m evolving into. Seeing people living in the conditions of La Estación affected the way all of see our priorities and showed us what our values really are. And so far, acting on those values this week has worked out pretty well. My ASB experience has been so much more than I ever expected it to be. I’m different now, yet the same. Simply, it’s helped each of us find ourselves a little more, and pushed us to be confident in those people. We’re going home a little bit wiser, a little more thoughtful, and a little bit stronger. All of us learned a bit about life, and we did it together. So while I know that going back to my crazy lifestyle and the people who don’t see the big picture will be a challenge, I know that we’re all going through it together. My team and I will be each other’s support system, and a constant reminder to each other of those memories and lessons we don’t want to lose sight of.